In preparation for this weekend where I will be at Lost Mountain Farm during Lavender Farm Faire I spent this week working in purple. Photographing purple tells me I still have a lot to learn about my new camera settings as these look a bit different than they do in person! Fancy Jasper. Both have SOLD. Fancy jasper on the left. Ocean jasper on the right. I have been very busy restocking this week. Blues and greens have been the best selling colors so far this year. As fast as I make them they are gone! Other items I was running low on were black necklaces and pearl earrings. 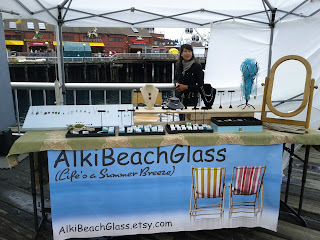 I am also almost out of sun catchers, but they may have to wait until next week. There are only so many hours in a day I can spend beading! 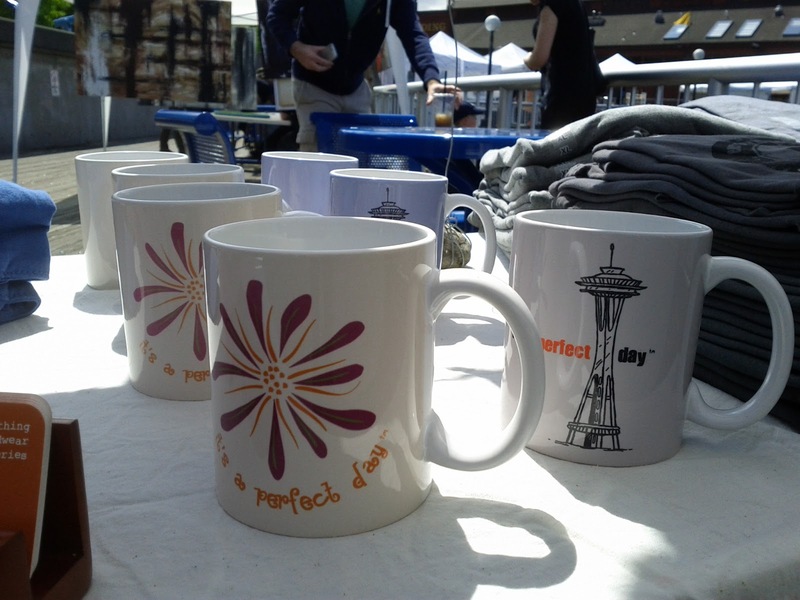 This Friday, Saturday and Sunday you will find these new designs in my booth (#38 on Meeker and 4th) at Kent Cornucopia Days. Both of these stones are agates. Both have SOLD. Green fancy jasper. The one on the left has SOLD. You must enlarge this picture and see the detail in this agate! This sold its first day on display. Stone bracelets - including carnelian, jasper, jade, moss agate. Most of these have since sold. 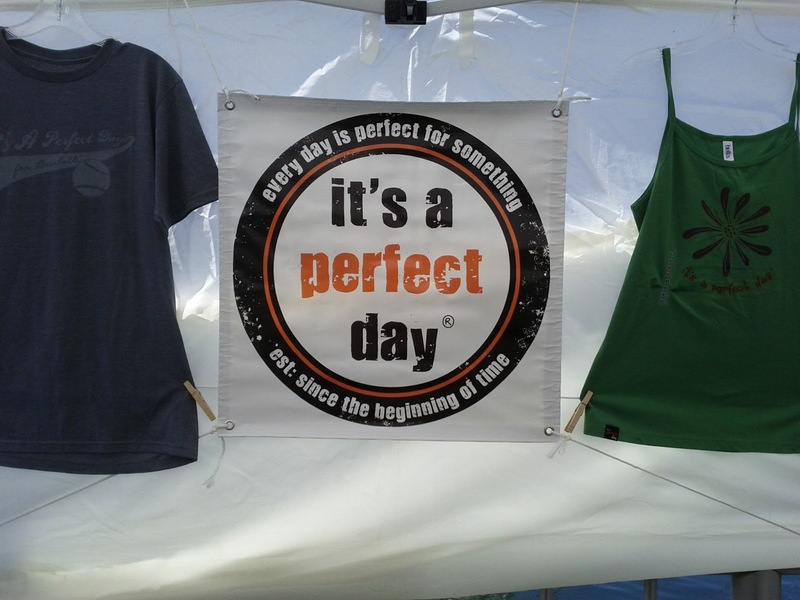 Everyday is a perfect day for something! 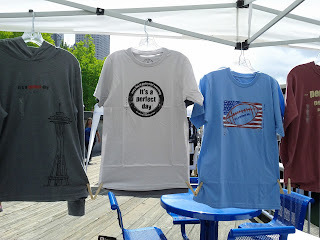 Seattle waterfront is Its a Perfect Day clothing company. Everyday is a perfect day for something is the motto of this small family based company in Kirkland, Wa. 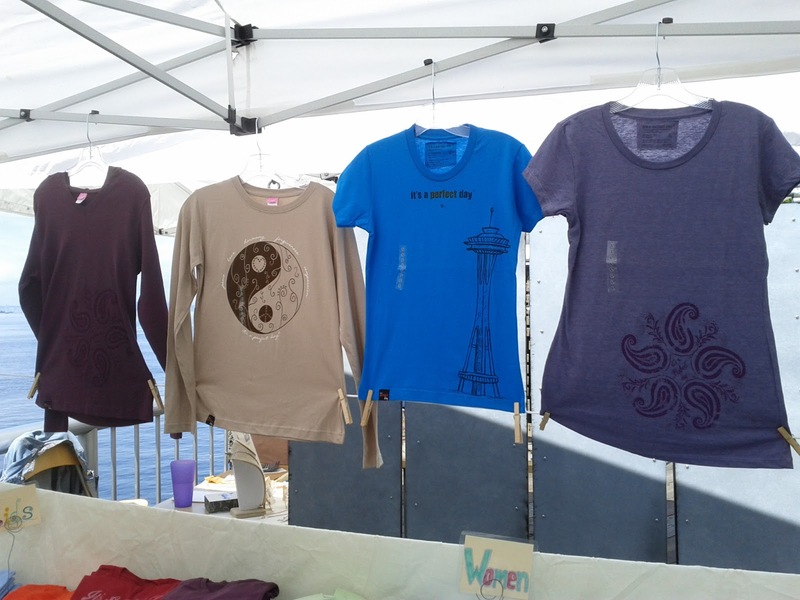 They use high quality , American made products to print their own designs onto. You will find mens and womens long and short sleeved tees. Small backpacks, totes, caps and mugs. Visit their website to see and order their products and to learn the story behind their company. 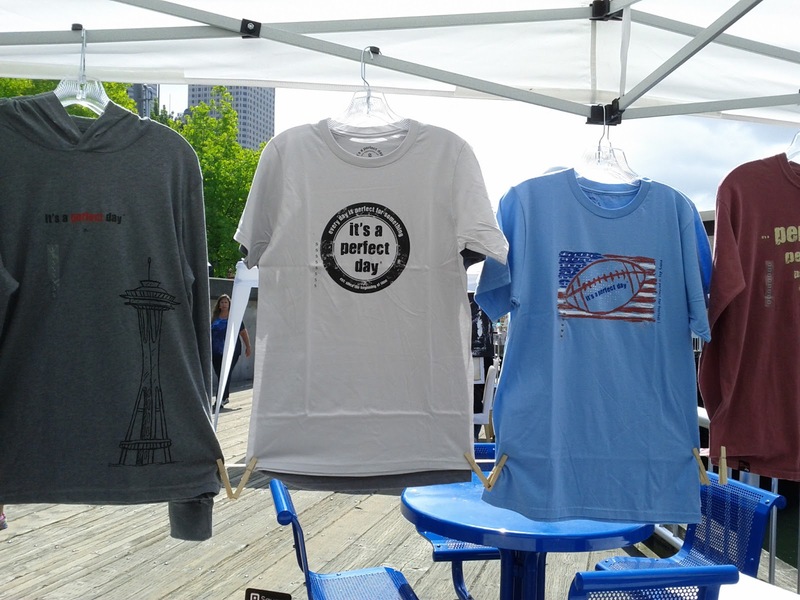 And if you are in Seattle on the Saturdays this summer stop down at the waterfront park next to the big wheel to meet Satya the owner and get your own perfect tee shirt. 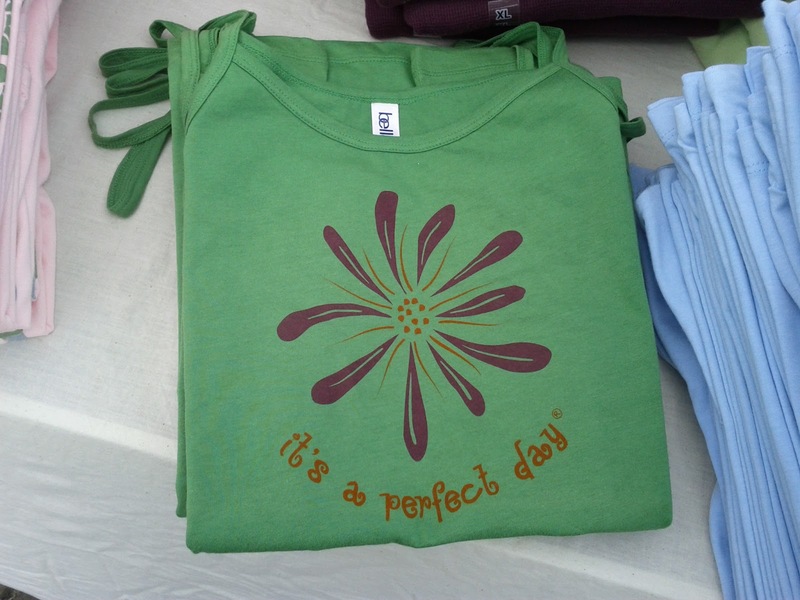 "Remember, every day has something perfect to offer. It is up to us to find that and be grateful for whatever power that allows us to experience this wonderful world. Two new picture jasper and copper necklaces. Trying to stock up for my busy July and August. 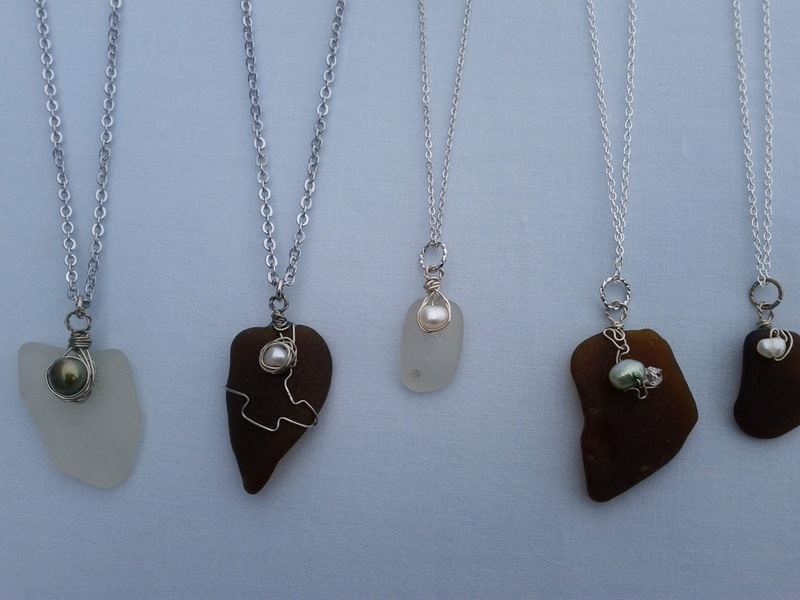 here are some new necklaces. 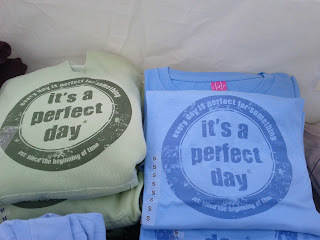 If you see one you like be sure and let me know right away as none of these will make it into my online store. This time of year things simply sell too quickly. A nice problem to have! Two more Owyhee jasper necklaces inspired by last weeks creation. Both have sold. Pale blue agates and teal matte hex seed beads with pewter accents. Both have sold. Australian green opal and copper. Sold. Owyhee jasper with a coppery rust matte hex seed bead and copper accents. Sold. Another version of the same. Sold. Brown agates - a square with a teardrop dangle with agate rondelles and goldish seed beads. This has sold. 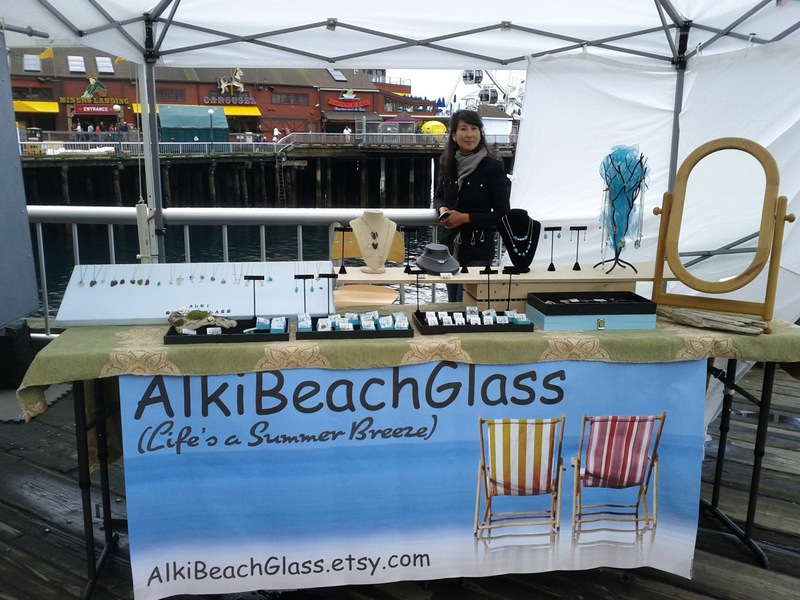 One of my regular neighbors when I am on the Seattle waterfront is Chloe with her Alki Beach Glass Jewelry. She collects her sea glass on the beach at Alki. For those not familiar with Seattle this is a beach on the north end of West Seattle on the entrance to Elliott Bay. 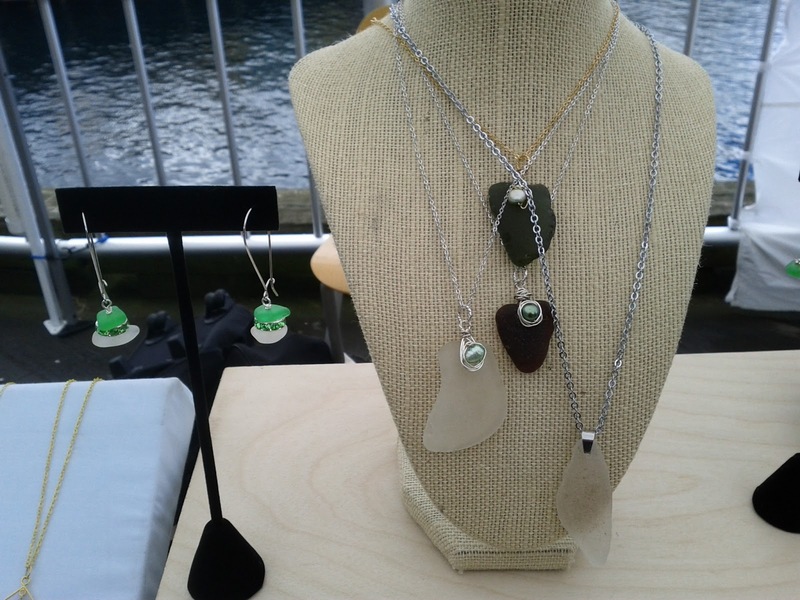 Her unique pendant wire-wrapped jewelry is the perfect eco-friendly gifts for the person who loves the sea or the beach and wants to be reminded of happy summer days! 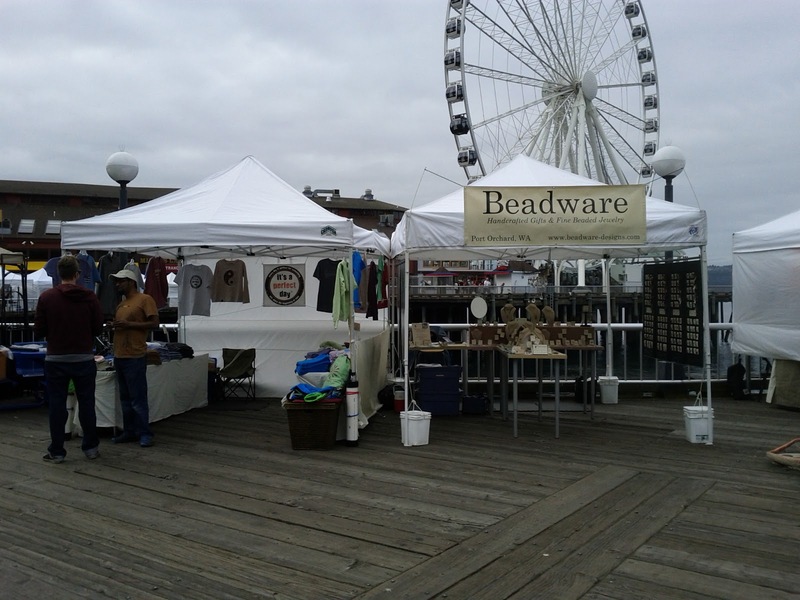 You can find a few of her items online in her Etsy shop or better yet see her in person weekends on the Seattle waterfront or occasional Sundays at the Fremont market.